ABC RadioT.I. and Tiny have come up with a regal name for their newborn daughter: Heiress. Tip took to Instagram to announce the name of his little girl, who was born March 26. “Welcome Home Heiress!!! The Ride Begins…. 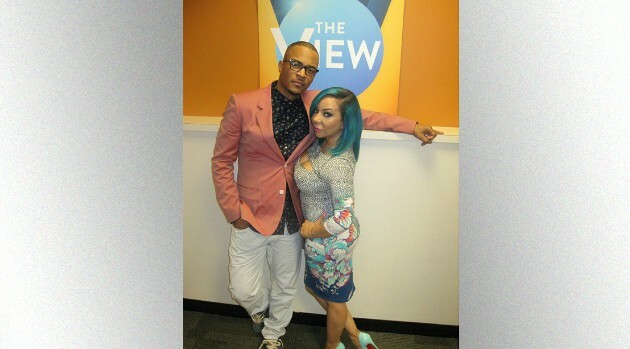 #FamilyHustleOverErrrthang,” Tip wrote in a caption to a photo of him taking his new daughter home. Tiny also shared a glimpse at Tip taking on dad duties. “My newest Blessing! Heiress & her daddy,” she wrote in the caption of an Instagram photo of the rapper holding his daughter. The new bundle of joy is their third child together, and the seventh overall in their family — the couple has two sons together, ages 11 and seven. Tiny also has a 20-year-old daughter from a previous relationship. T.I. has two sons, ages 16 and 15, and a daughter, 14, from previous relationships.